Cost-effectiveness (CE) thresholds are being discussed more frequently and there have been many new developments in this area; however, there is a lack of understanding about what thresholds mean and their implications. This paper provides an overview of the CE threshold literature. First, the meaning of a CE threshold and the key assumptions involved (perfect divisibility, marginal increments in budget, etc.) are highlighted using a hypothetical example, and the use of historic/heuristic estimates of the threshold is noted along with their limitations. Recent endeavours to estimate the empirical value of the thresholds, both from the supply side and the demand side, are then presented. The impact on CE thresholds of future directions for the field, such as thresholds across sectors and the incorporation of multiple criteria beyond quality-adjusted life-years as a measure of ‘value’, are highlighted. Finally, a number of common issues and misconceptions associated with CE thresholds are addressed. The online version of this article ( https://doi.org/10.1007/s40273-017-0606-1) contains supplementary material, which is available to authorized users. The authors would like to thank Brian Reddy and Simon Walker for their advice on the Irish threshold and economic evaluation across multiple sectors, respectively. PT conceived the initial idea for the paper, and all authors (PT, JO, AL, TT) contributed to developing the outline of the paper. TT led on the hypothetical example, including the development of the Microsoft Excel file in the ESM; JO led on the sections on empirical estimates of the supply side threshold; AL led on the section about the WHO-CHOICE guidelines and contributed to the demand side thresholds; and PT led on the remaining sections in the paper. All authors were involved in the multiple revisions of the paper before signing off on the final version. Praveen Thokala, Jessica Ochalek, Ashley Leech, and Thaison Tong have no conflicts of interest to declare. Guide to the methods of technology appraisal 2013. Guidance and guidelines. NICE. https://www.nice.org.uk/process/pmg9/chapter/foreword. Accessed 14 Dec 2017. Guidelines for the Economic Evaluation of Health Technologies: Canada. CADTH.ca https://www.cadth.ca/about-cadth/how-we-do-it/methods-and-guidelines/guidelines-for-the-economic-evaluation-of-health-technologies-canada. Accessed 14 Dec 2017. Australian Government Department of Health. Guidelines for preparing a submission to the Pharmaceutical Benefits Advisory Committee: Version 5.0. 2016. https://pbac.pbs.gov.au/content/information/files/pbac-guidelines-version-5.pdf. Accessed Dec 2017. Schaffer SK, Cubi-Molla P, Devlin N, Towse A. Shaping the research agenda to estimate relevant cost-effectiveness thresholds for health technology assessment decision making: Report for ABPI. 2016. https://www.ohe.org/system/files/private/publications/Shaping%20the%20research%20agenda%20to%20estimate%20cost-effectiveness%20thresholds%20FOR%20PUBLICATION.pdf. Hummel JM, Oliveira MD, Bana e Costa CAB, IJzerman MJ. Supporting the project portfolio selection decision of research and development investments by means of multi-criteria resource allocation modelling. In: Marsh K, Goetghebeur M, Thokala P, Baltussen R (eds) Multi-criteria decision analysis to support healthcare decisions. Cham: Springer; 2017 [cited 14 Dec 2017]. pp. 89–103. https://link-springer-com.ezproxy.library.tufts.edu/chapter/10.1007/978-3-319-47540-0_6. Phoya A, Araru T, Kachala R, Chizonga J, Bowie C. Disease control priorities in developing countries, 3rd edn. Working Paper #9: Setting Strategic Health Sector Priorities in Malawi. http://dcp-3.org/sites/default/files/resources/DCP%20Working%20Paper%209_Malawi%20Case%20Study_0.pdf. National Institute for Health and Care Excellence. Guide to the methods of technology appraisal 2013. London: (NICE); 2013. https://www.nice.org.uk/process/pmg9/chapter/the-appraisal-of-the-evidence-and-structured-decision-making#research-recommendations. National Institute for Health and Clinical Excellence (NICE). National Institute for Health and Clinical Excellence: appraising life-extending, end of life treatments. 2009. https://www.nice.org.uk/guidance/gid-tag387/resources/appraising-life-extending-end-of-life-treatments-paper2. Framework Agreement between the Irish Pharmaceutical Healthcare Association Ltd and the Department of Health and the Health Service Executive on the Supply Terms, Conditions and Prices of Medicines [cited 14 Dec 2017]. http://www.hse.ie/eng/about/Who/cpu/IPHA_Agreement_2012.pdf. NCPE Submission Process. 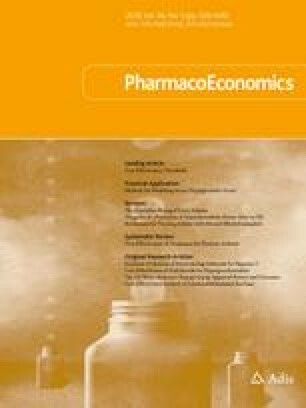 National Centre for Pharmacoeconomics [cited 14 Dec 2017]. http://www.ncpe.ie/submission-process/. Final Value Assessment Framework: updates for 2017–2019—ICER [cited 17 Oct 2017]. https://icer-review.org/material/final-vaf-2017-2019/. WHO Commission on Macroeconomics and Health, World Health Organization. Macroeconomics and health: investing in health for economic development: executive summary. Macroéconomie et santé: investir dans la santé pour le développement économique: résumé d’ orientation du rapport. 2001 [cited 17 Oct 2017]. http://www.who.int/iris/handle/10665/42463. Ochalek J. Cost per DALY averted thresholds for low- and middle-income countries—Research Database, The University of York. https://www.york.ac.uk/media/che/documents/papers/researchpapers/CHERP122_cost_DALY_LMIC_threshold.pdf. Accessed 3 July 2017. Paris V, Belloni A. Value in pharmaceutical pricing. Country Profile: Australia. OECD. 2014 Nov (Working Paper No. 63). https://www.oecd.org/health/Value-in-Pharmaceutical-Pricing-Australia.pdf. Accessed Dec 2017. Griffiths EA, Vadlamudi NK. Cadth’s $50,000 cost-effectiveness threshold: fact or fiction? 2016; ISPOR. https://www.ispor.org/research_pdfs/54/pdffiles/PHP278.pdf. Accessed Dec 2017. Scottish Medicines Consortium. SMC Modifiers used in Appraising New Medicines. https://www.scottishmedicines.org.uk/About_SMC/Policy_statements/SMC_Modifiers_used_in_Appraising_New_Medicines. Accessed 14 Dec 2017. Coelho De Soarez P, Dutilh Novaes HM. Cost-effectiveness thresholds and the Brazilian Unified National Health System. 2017. http://www.scielo.br/pdf/csp/v33n4/1678-4464-csp-33-04-e00040717.pdf. Accessed Dec 2017. Barnsley P, Towse A, Karlsberg Schaffer S, Sussex J. Critique of CHE Research Paper 81: methods for the estimation of the NICE cost effectiveness threshold. OHE. 2013. https://www.ohe.org/publications/critique-che-research-paper-81-methods-estimation-nice-cost-effectiveness-threshold. Accessed 14 Dec 2017. Claxton K, Sculpher M. Response to the OHE critique of CHE Research paper 81. https://www.york.ac.uk/media/che/documents/Response%20to%20the%20OHE%20critique%20of%20CHE%20Research%20paper%2081.pdf. Accessed Dec 2017. Edney L, Afzali H, Cheng T, Karnon J. Estimating the reference ICER for the Australian health system. Pharmacoeconomics. 2017. https://doi.org/10.1007/s40273-017-0585-2 (Epub 22 Dec 2017). Vallejo-Torres L, GarcÌa-Lorenzo B, Serrano-Aguilar P. Estimating a cost-effectiveness threshold for the Spanish NHS. FEDEA; 2016 Jun. Report No. eee2016-22. https://www.ucl.ac.uk/dahr/pdf/HESG/Paper_A31.pdf. Accessed Dec 2017. Government of the Republic of Malawi. Health Sector Strategic Plan II (2017–2022): towards Universal Coverage. 2017. www.health.gov.mw/index.php/policies-strategies?download=47:hssp-ii-final Accessed Dec 2017. Ochalek J, Claxton K, Revill P, Sculpher M, Rollinger A. Supporting the development of an essential health package: principles and initial assessment for Malawi. Centre for Health Economics, University of York; 2016 Sep. (Working Papers). Report No. : 136cherp https://www.york.ac.uk/media/che/documents/papers/researchpapers/CHERP136_EHP_Malawi_interventions.pdf. Accessed 17 Oct 2017. GDP per capita (current US$). Data. https://data.worldbank.org/indicator/NY.GDP.PCAP.CD. Accessed 14 Dec 2017. Initiative on US Value Assessment Frameworks. https://www.ispor.org/ValueAssessmentFrameworks/Index. Accessed 17 Oct 2017. Devlin NJ, Sussex J. Incorporating multiple criteria in HTA: methods and processes. OHE, Office of Health Economics Research; 2011. https://healthpolicy.fsi.stanford.edu/sites/default/files/ohe_hta_methods.pdf. Accessed Dec 2017. National Institute for Health and Care Excellence. Technology Appraisal and Highly Specialised Technologies Programmes. Procedure for varying the funding requirement to take account of net budget impact. https://www.nice.org.uk/Media/Default/About/what-we-do/NICE-guidance/NICE-technology-appraisals/TA-HST-procedure-varying-the-funding-direction.pdf. Accessed 14 Dec 2017.